How Many Trail/Game Cameras Should You Get? If you have been looking for information about the best trail camera to help with your hunting you have come to the right place; this site is packed with reliable, well researched, and helpful information articles and trail camera reviews to help you pick up the perfect game camera. You need a great trail camera with the best features in the market to make the most out of scouting an area for gaming. However, with the multitude of cameras available and the similarity in their features, you might be at lost. Fortunately, this review will guide you in selecting the trail camera that best fits your needs, starting with a comparison of the 15 top-rated game cameras available in 2019, followed by a detailed review of each device. Each of these cameras has been getting some great reviews and ratings in recent years and after reviewing them myself, I conclude that they are the best you can get whatever your purpose, whether it be for hunting, fun, security, or anything else. Check out this comparison chart of the game cameras that we reviewed. With a fast triffer speed, No-Glow covert infrared, 5 year warranty this beast of a trail camera "is every hunters dream"! The Browning Spec Ops XR gets our highest rating and offers great value for money. The trigger speed is adjustable from 0.4-0.7 seconds, so you won’t miss anything important, even if recording video. 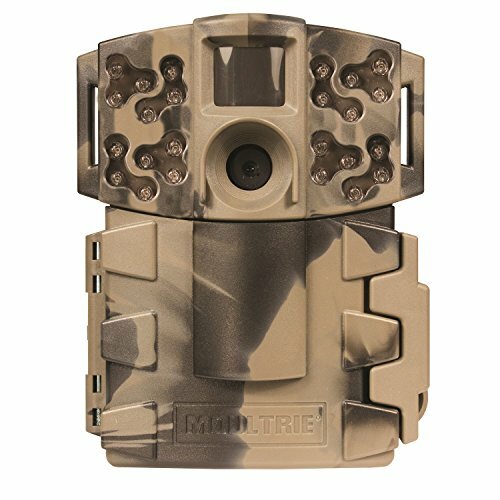 Small trail camera meant for light use with options to take pictures every 5 to 10 seconds. Takes high quality video. Reconyx’ HyperFire 2 has a smoldering trigger speed of .2 seconds and a detection range of up to 100 feet, overlapped by a 150-foot flash range. Animals standing at the edge of the HyperFire 2’s range are always adequately illuminated. Video quality is not this camera’s strong suit. It only shoots 10-second clips in 720p definition and records sound as well. The quality of the photography sets the HyperFire 2 apart from its competitors. The high-definition images in 1080p widescreen (or 5 MP standard aspect ratio) that this camera produces are often magazine-worthy. Previous models were handicapped by red glow, the HyperFire 2’s LEDs are completely invisible. The HyperFire 2 is suitable for almost any user, regardless of skill or technical know-how. There are pro models available that are meant for professional users, like wildlife biologists, but this model is more user friendly. Though skilled photographers will appreciate the variable ISO settings, these and other optional settings may just as well be left alone. The images are stunning regardless. Battery life is impressive, with up to two years of use possible on just 12 AA batteries. To maximize life, users should toggle the flash range down to its lowest setting, which should still reach the edge of the detection range. Other than that, it’s just set it out and forget it until you’re ready to check for images. Reconyx builds the HyperFire 2 to last, and backs it with a five-year warranty. The Browning Spec Ops XR gets our highest rating and offers great value for money. The trigger speed is adjustable from 0.4-0.7 seconds, so you won’t miss anything important, even if recording video. The high definition video recording is pretty solid, and can last up to a full 2 minutes with sound. The unit needs 8 AA batteries, which is pretty much the industry standard at this point. The quality hardware does take good care of the batteries with reliable power-saving features, something that Browning has improved on over the years. The flash ranges a full 70 feet, which is good when you factor in the price of the camera. Even though Browning doesn’t talk up the 8-MP hardware, it is pretty powerful for images. This is especially apparent at night when typically-missed objects get picked up easily by this unit. But the best feature on the unit is the big 2-inch color screen that is almost like a mini TV. Playing back videos and viewing them on the screen is great and is one of the big advantages of having a unit with this capability. Surprisingly, this is one of the better cameras on the market and should not be overlooked. The winning point of this camera is the trigger speed is 0.25 seconds fast. That is faster than just about any camera available on the market, and makes this camera #1 for speed in its price range. This is a medium-priced camera with the speed of a camera twice the price, which is a very hard find. Images are taken at 20MP using the built-in low-light CMOS image sensor that reduces blur, and in the same mode zooming becomes a lot easier compared to other cameras. It is the perfect marriage of hardware and software capabilities that keeps you from having to do all the heavy work on a computer. Multiple zone controls keep areas as covered as you want with a 100-foot flash range that works like magic whether it is used during the day or night. One of the best possible deals available, this is more than just a camera — it is the perfect camera kit to get started with security or game hunting. The Browning Strike Force Sub Micro 10MP Game Camera has a fast trigger time of 0.67 seconds with a 100-foot flash range. It records HD videos with sound up to 2 minutes in length and can take comparable quality HD photos using minimal power from its 6 AA batteries. Because of the additional setup options and included Browning Buck watch time-lapse viewer software, this is recommended for advanced to expert users to fully take advantage of its capabilities. This price is in the low to mid-range — accessible to most users when compared to other trail camera prices. Exclusive to this line is the Zero Blur Night IR photos, which guarantee crisp and clear night viewing from a small package. It all weighs less than 1 pounds, and within this package the video resolution is a high HD of 720p. Better detection range, crisper pictures, and clearer video are guaranteed with this model. There are also fewer empty shots because of the camera’s internal algorithm. There is a display for battery life and remaining photo memory, and the device can be used as an SD-card reader by connecting a USB cable between the camera and the device that the user wants to display the photos on. The unit works well especially outdoors for game and scouting, and equally for home use. At the medium price point is the Day 6 Plotwatcher Pro HD Game Surveillance System that has one of the best timer systems on the market built in. This model can take pictures every 5–10 seconds so that you get the most important shots throughout the day and night. For game hunting, this works well as customers will get a collection of photos that function as real-time analysis of a location from dawn to dusk. When making onsite changes to the camera it has a handy 2.5-inch LCD screen that is roomy enough to see the best and worst of what the wilderness has to offer. And if you’re using the Gamefinder software, it has a forward and reverse feature that scrolls your photos to appear as a GIF image. It’s just like taking a video but takes up a lot less space than a video file would. And if you do decide to shoot video, it supports high definition at 1280 x 720p, so be sure to pair it with a compatible 32-GB memory card. Optional support for an add-on zoom lens offers a good amount of customization to those that want more power. Being one of the few cameras that has decent optional add-ons to boost the power, this model is easy to recommend. The Stealth Cam G30 is one of the best trail cameras around and it gets our highest rating with an impressive 4.7 out of 5 stars. The camera has great video quality, is durable, and has amazing performance and battery life. You can also read our Stealth Cam guide here. It can take great pictures of either 2, 4, or 8 megapixels and can take HD video with sound from 5–180 seconds in length. Its 30-IR emitters, which have a reach of 80 feet, and its reflex trigger of half a second along with its advanced blur reduction technology give this camera the ability to capture images or video in amazingly fine details in any lighting condition (i.e. daylight, low light, or at night) without any issues. The camera is even secured in a shell that is both sturdy and easy to open. The port and SD card slot are strategically positioned, too, to allow easy and convenient access. It can support an SD card of up to 32GB of capacity and features password encryption to protect your data. The lowest priced camera on the list is the Stealth Cam STC-P12 6.0 Megapixel Digital Scouting Camera, a standard definition camera capable of good pictures and video recordings of 640 x 480 VGA up to 15 seconds long. Twelve IR emitters work in a max range of 50 feet with an optional burst mode that catches 1–6 images per trigger, and is able to be manually set to 5–59 seconds based on that rate. Time, date, and moon phase stamps are part of the many options on this camera, and all can be set from the LCD screen with the EZ dial programming and quick set functions. The myriad of options are very easy to use and geared towards beginners, with the EZ dial programming and preset quick set functions making this an easy purchase decision for those users. The camera can be used outdoor for scouting and game or at home for security, and has a mini-USB plug for transferring and manipulating media. The quick set mode has 3 preset modes to choose from, and the external LCD has a test mode and low battery indicator, although the battery lasts a good 6–12 months depending on usage. Night vision gives pretty good feedback, and with support for an SD card up to 16 GB, the Stealth Cam STC-P12 is capable of lasting months without any upkeep. A strap is included and can be used to either position the camera outside or as a replacement strap for products in the same line. This 8-MP camera from Bushnell takes 720p video with audio up to 1 minute in length, and features a hybrid mode that can take both HD pictures and videos at the same time. The interface and user options are best suited for intermediate to expert users, and the camera is ideal for both home security use and outdoors for game and scouting. Images are detailed and crisp, featuring date, time, moon phase, and temperature information and also has automatic geotagging capability. The price is on the low to mid level, but accessible to most compared to other cameras with the same functionality. Running on 4–8 AA batteries and with a maximum SD card support of 32 GB, this trail camera can last up to a full year without any power or storage issues. The unit is weather proof and has the ability to support external power. Accessories include an adjustable web belt and ¼-20 socket. It comes in at about 1 pounds and is compact enough without making the black and white LCD screen so small that pictures are unrecognizable. The night vision flash uses 32 black LEDs up to 80 feet for great resolution and very good pictures. With a 0.67-second trigger time, Browning Trail Camera’s Dark Ops model is a 10-mp intermediate/expert trail camera that can record up to 2-minute HD videos with sound. The 70-foot flash range works great outdoors, and as such the camera is intended for outdoor game and scouting, but can also double with the same effectiveness as home security. Six AA batteries can provide up to a year of usage if good quality batteries are used. The price is on the high end of the scale as this is a premium trail camera, which supports up to 32 GB SD cards. The weight of the unit is 1 pounds, and it ships with Browning’s Buck Watch time-lapse viewer software. The camera works day or night, and has an invisible flash that will not alert any game or other subjects when taking pictures or video. Both burst mode and timer mode can be adjusted on the camera, and the display shows the remaining battery life and photo memory. With a USB cable, users can connect the camera to a TV or computer and use it as an external SD-card reader in order to manipulate media on the device. Although a strap is included with the unit, a USB cable is not, but can be purchased separately and is usually universal with other cameras of that type. The Stealth Cam G42 is a mid to high-priced advanced camera meant for intermediate to expert users, featuring a variable 4 resolution camera capable of 2, 4, 8, and 10-mp HD recordings up to a maximum of 180 seconds long. The trigger speed is 0.5 seconds and the entire unit is supported by 42 black IR emitters with a 100-foot range. An easy-to-see back-lit menu is available on the LCD screen with programmable inputs for a 1–9 images per trigger burst mode and manual shot capability. The SD card slot supports up to 32 GB and can be password protected from unauthorized use. The camera is a light 11.4 ounces and can be used outdoors for game and scouting or for home security. The unit comes with a multi-use strap and holds up well in bad weather conditions. Rechargeable batteries are not recommended with the unit and may cause some of the functions of the camera to be temporarily inoperable. With proper setup, the Stealth Cam G42 easily takes advantage of the space on the SD card, with lower resolution images and videos doubling its intended capacity. Read our full Stealth Cam G42 review here or if you are interested to read our Best No-Glo Trail camera review here. The Covert MP8 IR Game Camera Mossy Oak is an 8-mp camera with a 45-foot flash range and 28 infrared LEDs. It is moderately priced for the average consumer, and also includes a small color viewer. The unit automatically applies time, date, temperature, and moon phase stamps on photos. Although considered a budget camera, it is simply a smaller version of the Extreme series and contains many of the same features. Both pictures and video come out just as crisp as on the bigger version of this camera. Along with good motion detection is an auxiliary battery jack, and if running off of batteries alone they tend to last a bit longer than expected, even when maxing out the photos-per-day limit. Setup is fairly easy and recommended for beginners, while the more advanced functionality of the camera should please intermediate to advanced users as well. Because of the compact size, this Covert camera is not only recommended for outdoor use, but for home security use as well. This comes highly recommended from multiple sources online and gets our highest recommendation. Read the full Covert MP8 Game Camera Review here. The Wild Game Innovations 360 Camera is as innovative as it is useful. The mid-priced camera is one of the few on the market that can do the job of several cameras, and all in one design. Using a 360-degree design, the 12MP model functions fully for both daytime and nighttime photos. The video is high definition and caps out at 720p, with both modes having a trigger speed of 1.5 seconds. Don’t let the long trigger time put you off; the ability to take full 360-degree pictures and videos makes up for it. The flash range is a good 70 feet and if you mount it high enough with the included post mounting bracket system then there is no limit to what you’ll be able to capture. The standby time is about six months when equipped with 8 AA batteries, and with a 32-GB SD card you won’t have to overwrite any photos or videos to make room for new ones. The case is tough and water-resistant, capable of withstanding even the worst weather conditions while still taking eye-popping photos. Customers that don’t want to buy multiple cameras to take 360 photos will appreciate the low cost of this camera and the uncomplicated setup. As one of the lowest priced cameras on the market, the Moultrie Game Spy A-5 Gen 2 Low Glow 5.0 MP Camera is the perfect generation 2 budget camera for hunting enthusiasts. It features a 1.5-second trigger speed and 5-MP resolution. The resolution may seem a little low, but it is good enough to give quality photos, although you won’t be displaying them on a big screen TV in full detail. The flash range is 50 feet while the detection range is 40 feet; hats off to Moultrie for that consistency so you don’t have to mess with the finer details of the camera when setting it up. At night, the camera uses specialized long-range nighttime infrared to take clearer photos, and even on a budget build it does it quite well. In this version the multi-shot mode has been improved and is more functional while the look is cleaner with a longer lasting case. They managed to do this without upping the actual weight of the camera which still holds steady at 13.6 ounces. Video capture is built in but the resolution is a low 640 x 480p, but clear nonetheless. Customers on a budget will have no trouble putting down money for this model that proves it’s worth much more than other budget cameras. The Spartan HD GoCam is one of the highest-priced cameras you can get, so it makes a lot of sense that there are premium features attached to the product. There is an optional pay-as-you-go data feature on the Verizon network. 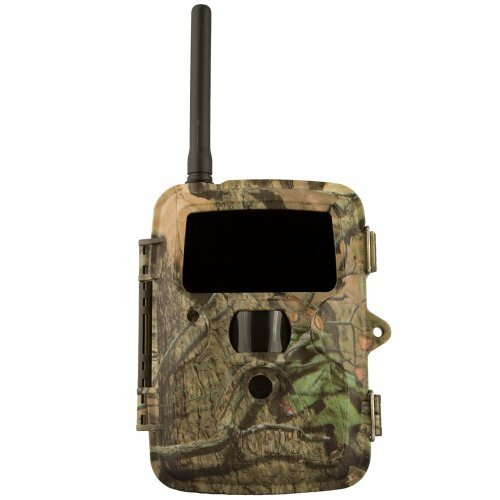 There is no contract to deal with so this should appeal to a variety of users who want a Wi-Fi-capable trail camera camera. This advanced feature is ready to use straight out of the box, and since it is with Verizon there is no SIM card required. It is battery hungry, but no more so than the average camera. Twelve AA batteries are used to power the unit for months, with premium power-saving features so you aren’t constantly replacing batteries. If you value privacy, then you’ll like the built-in AES 256 encryption feature for when you’re transmitting your images. And out of all the cameras on the market, the best online interface for managing photos is probably going to be HCO GoWireless web. Not only can you sign up for Verizon’s service from there, but you can also manage all of your photos online in an easy-to-use interface. It is a one-stop shop for those that don’t want to stare at the screen on the camera. Big and innovative, this is a camera that shouldn’t be passed up. 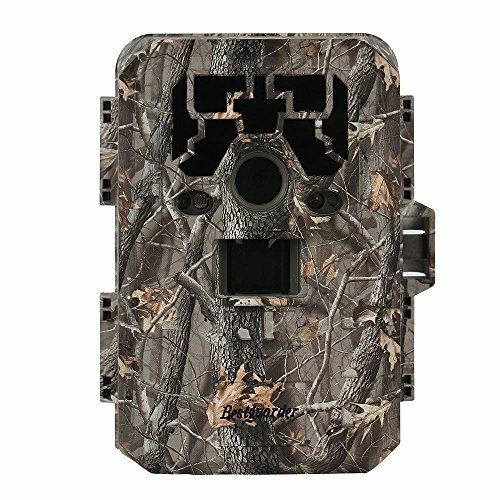 Barely skimming the low price range is the Amcrest ATC-1201 12MP Digital Game Cam Trail Camera that has a lot of high performance specifications. It is a powerful 12MP camera that is capable of 1920 x 1080p video. This comes into play when you want to display your pictures and videos on a big screen TV without it looking like they were taken on an old cell phone camera. The motion sensing is automatic and reaches about 65 feet, which is about 5 feet more than the normal range of cameras of the same size. This is pretty good since it factors into the night vision range and has up to 3 different levels to work in any situation. The trigger speed is surprisingly spiffy at 0.7 seconds, and if you combine that with the burst mode and a large 32-GB SD card, you’ll have the perfect combination of features for months at a time. The standby time is good and can last up to 3 months on a single charge, and if for some reason the product malfunctions, the 1-year warranty will step in when needed. This is one of those cameras that really flies under the radar and is a high-powered buy for anyone in need of security or game surveillance. Low-priced and available to blend into any forest setting, the Mossy Oak tree stand is probably the best design you can get in order to hide a camera in plain sight. That is one of the many benefits of the M-990i, with the selling point being the 10MP and less than 1-second trigger speed. Before the target even realizes they’re being watched, the picture or video is snapped, and all without alerting them thanks to the invisible 940NM IR LED flash technology. This applies to both animals and humans, so expect it excellent quality both outside and inside the home. The flash range is 70 feet while the detection range is the usual 50 feet, so there are plenty of places that the camera can be placed while still being effective. The casing of the camera is also more effective than a normal case, protecting both the lens and IR filter, critical components of the camera. They will last a lot longer than on other cameras, even if used in adverse conditions. Since this is considered the flagship model, expect for it to continue to be improved over the years as the company improves it from generation to generation. One of the best and still a popular buy, this is one camera series that continues to get better. HD video day and night. Medium-priced and just about what you would expect from Moultrie, the Panoramic 150 lives up to its name and gives customers a much better view of the field than a regular game camera. The technical specifications are impressive, touting an 8-MP camera with 3 motion sensors that cover a full 150-degree angle. Anything that crosses its path will be captured, giving you much better placement options when setting up the camera. But this model’s bread and butter is its combination of additional features. It has system customization options, time lapse, video options, and photo options. Up to 5 operational modes are available so that buyers will always have the best mode set for the current project. The camouflage Mossy Oak tree stand is a great case for the camera, letting you attach it to a tree so that it blends in with the environment. Batteries won’t be quickly drained by all of the features since the camera automatically goes into sleep state when not in use. This will extend the life of the batteries and keep the customer from having to purchase expensive AAs every couple of months. Moultrie kept the LCD on the device simple, and it’s the easiest to use model in their lineup. At just the right price and with some nice upsides, customers should consider this for multiple uses. Image quality is measured in Megapixels (MP) and is also called resolution. The higher the MP, the better the picture quality. 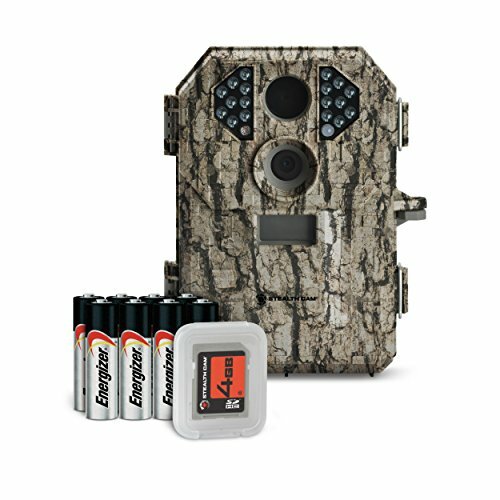 Average trail cameras have a resolution of 5–7 MP. The range, however, is actually vast, with the best cameras giving as high as 20 MP in their class and basic, inexpensive models delivering only 2 MP. If your snaps and game recording are as important as the game itself, then we would recommend at least a 7-MP camera. It is better to buy a camera of 5 MP or higher. Pictures under 5 MP are usually very shoddy, especially when viewed on a full screen, and their performance during night hunts is absolutely abysmal. With cameras over 5 MP, the difference between day and night snaps varies hugely. If your budget allows and you would like great contrast and fine pictures at night, then go for a 10-MP+ version. One point to remember is that if you have an infrared flash, night shots will only support black & white photos. In addition, each additional megapixel will cost you more money, so it’s vital to decide on what’s important. In addition, if you plan to use your trail camera for wildlife photography, a high-resolution camera is recommended. Nevertheless, a 5–7-MP camera is suitable if using strictly for game. A game lasts for hours and sometimes days, and the last thing you need is a dead camera, so battery life is an important feature for game cameras. Remember that usually you would just mount the camera and leave it there unattended. Just imagine coming back to collect it and realizing that battery died in the middle of night! Most of the brands’ have a battery life between 6 months and a year. However, the point to keep in mind is that the actual life tends to be less for the simple reason that some features of the camera consume a lot of power; and if you happen to use more of them then your battery will drain much faster. An incandescent flash consumes a lot more power than it’s infrared counterpart. In the same way, a cellular camera drains batteries expeditiously when compared to regular trail cameras. Some cameras come with plug-in option and are good choices if you tend to spend a lot of time in the wilderness in one period. However, you will have to carry the entire plug-in system, which can be quite bulky. Look for cameras that have at least 8 sockets for AA batteries. Lithium batteries are much better than alkaline batteries. You may also go for rechargeable ones, which are costlier but can last for years. If you look at the overall cost of high-end batteries and divide it by the number of years they last, you will find that they tend to be more economical. Rechargeable batteries are also weatherproof. At the very least, always check the recommended battery brand and try to stick to it. Trigger time is the time in which the camera detects movement and captures the snap — the less the better. The whole process goes something like this: the animal enters the detection zone and the sensors activates the camera, which in turn triggers the capture, and the snap is saved in the storage. The lower the trigger time, the better i.e. well below one second. If the trigger time is high, by the time the camera captures your game will have moved to the end of detection circuit. A slow trigger speed is suitable only for those games where you have to monitor something stationery, for example, a place where the deer herd resides or where you might have tied a bait. These are the only situations where the animal will hover and linger for quite some time. These cameras are also suitable for food plots that have good visibility. The fastest trigger speed available on the market is 0.14 seconds! The range goes up to 4 seconds in some cameras. If you have a wireless cellular camera, this time will be a little on the higher side because the trigger time also includes the time the camera takes to transmit and store the picture in a connected device. Buying a trail camera is no easy feat, considering the features you have to keep in mind, like motion detection, resolution, focusing abilities, sharpness, pixelation, as well as being inconspicuous in the woods. Therefore, we have prepared a list for you so that you can zero in on your favourite type of camera, one that suits your needs perfectly! Cellular cameras record images and transmit them to your phone and tabs via an internet connection. A SIM needs to be inserted into the camera’s slot and works just like in a phone. Most of these cameras work on GSM networks and you need to buy a data package for the SIM. These cameras usually come with motion sensor technology nowadays, which activates when there’s movement in front of the lens span. Cellular cameras are hassle-free, are very easy to install and do not have tonnes of wires. Wireless cameras have in-built transmitters that transport images using a wireless network. You need to choose the wireless network of the receiving device in the camera to connect them. Wi-Fi cameras are relatively innovative but extremely user-friendly and relevant to today’s user. They have fewer attachments and no wires, which is an appealing feature for indoor or semi-indoor use. Have you ever felt the need to track what goes on in and around your house in your absence? You may have contemplated keeping an eye on your business establishment, office space, storage unit, or warehouse. This is especially applicable to those who have to put up a temporary shelter in the woods while on a wildlife trip. For these situations, a fully enabled security camera, better known as surveillance camera, is the best solution. Reliable and tamper-proof, if any incident takes place in your absence, this type of camera will record it in real time so you can use the footage as evidence later on. It also has a deterrent function because criminals will usually be put off by a security camera. They offer a comforting sense of security, especially if you have experienced vandalism or robbery in your area of residence or business. Although traditionally for security purposes, these cameras are increasingly being used as trail cameras for use outdoors. These can also be used in case you have to temporarily set up camp in the woods; these cameras can help you monitor the wildlife around you and keep you one-step ahead of dangerous animals or situations. These cameras aren’t adapted for the wilderness; their efficacy has not been well established or demonstrated for use in wildlife setups. However, there are a few points to keep in mind before a security camera is installed. The law forbids installation of recording devices in private areas like baths and toilets. So make sure that you are not bending the law while installing these cameras. If you have one inside your home, it is going to potentially record private moments and conversations that you would rather keep private. This is why data deletion has to be done regularly and carefully since information sharing these days is fast and easy. In addition, everything invariably turns up on internet. In fact, make this a daily routine to delete the unwanted footage thereby avoiding other risks related to data leakage. Infrared cameras are suitable for tracking and recording at night. For ensuring a round-the-clock supply of video footage in the wild, no camera is better than the infrared. These cameras have high resolution and capture night images with a lot of clarity. They also come fitted with sensors that automatically switch the infrared function on and off. These cameras are used extensively to capture wildlife due to their night or dim lit capability. Scientific researchers have always used infrared cameras in their experiments due to their sensitivity and high resolution. They are easy to install and usually come in a single unit with a lens and recording storage. Infrared cameras are very sturdy and can withstand tampering effectively. They are designed to not give way easily when deliberately damaged. All of the advantages of an infrared camera result in the model’s biggest disadvantage: the price tag. They are far more costly than other types and therefore use in smaller establishments and domestic surveillance has not gained much momentum. Owing to the LED lights mounted on them, they have limited use around reflective surfaces; the resulting photo will be a blotch of light. The flash camera is made for night shots. For dark or night shots, the camera automatically switches to flash mode. This one feature makes it usable throughout the day and night, while you are on the move. They are highly portable and are available in a variety of sizes, enhancing their portability. The picture quality is extremely good, and they have the best zoom capacity of all camera types. The main disadvantage of this camera is the strength of the flash! Getting blinded by a flash is undesirable to say the least, and especially if it continuously triggers without any warning. This is an extreme drawback when shooting in the wild; it can easily scare off animals and waste your valuable time. Flash cameras are also known to make a shutter sound when the flash is triggered. Both of these features make it unsuitable for wildlife photography as the flash agitates the animals. For covert tracking, too, this type of camera is useless since there is nothing clandestine about it. The flash can be particularly annoying to your neighbours if you are using if for outdoor monitoring. There are two types of flash available in trail cameras: LEDs, also known as incandescent flash, and infrared, better known as invisible flash. Choosing the right type of flash is an extremely important criterion as it can either hamper or facilitate the game. An incandescent flash camera has a bright, white light, which makes pictures taken in shadow or dark places quite clear and refined. The quality and contrast of the pictures is impressive. Even the night shots come in colour; although they’re not as great as the day shots, they are still pretty descent. The disadvantage of this camera is obviously that it can spook your game in the night. A bright, white, intense flash may also blind you for a few seconds or attract other hunters in the area. If you use the camera for security purposes then the flash will alert intruders. The bright flash is also a nuisance for others in the neighbourhood. On the other hand, an infrared flash creates an invisible zone and does not draw any attention. The only visibility that the flash may have is a red dot on the camera, which is quite unnoticeable. Some newer models have hidden this red light as well making the camera completely unnoticeable. For covert night games, infrared is the most suitable option. Some brands have come up with interchangeable flashlights. You might choose one of these models as they give you the option of changing to infrared invisible or incandescent white flash as per your needs. Detection circuit refers to the range in which a camera’s sensors can detect movement and trigger the camera to capture. The range is measured in feet whereas trigger speed is measured in seconds. Naturally, long-range cameras are preferred for hunting in the wild or even on a farm. Nowadays, cameras can have detection ranges of almost 100 feet. However, before purchasing, you need to be sure that the model delivers what it claims. Some of the models manage only 60% of the advertised range. The average range of a trail camera is 60–70 feet. A low range is suitable only if you have a very limited area to cover, otherwise go for a long-range camera. Along with the distance in feet, you must also establish the field of view, which is basically the width of the angles within which the camera can detect movement. A wide field view means a better capture because the movement will be in range for a longer amount of time. Trigger speed and recovery time are very important aspects as they determine the number of articulate shots that you will be able to take at a time. The animal you are going to capture is not going to hover at one place for a long time; in fact, most of them will pass by giving you a window of a few seconds. Trigger speeds as low as 0.14 seconds are available in the market. Any speed beyond 1 second is considered very slow and may hamper your game. Recovery time is the time it takes for the camera to get ready for the next capture, which can be as low as 3.3 seconds and as high as 5.5. Remember that cellular cameras have a very high recovery time because they transmit the picture after capturing and storing; it is only then that the camera gets ready for the next snap. Therefore, a speed of under 5 seconds is normal and considered fast. However, if you are hunting a fast-paced animal in your game then a cellular camera might not fit the bill. The quality of a picture is measured in megapixels. Trail cameras have an average resolution of 5–7 MP, which is usually enough; unless of course your priority is a high resolution snap. However, for hunting needs, the average resolution is more than enough. High-resolution pictures is a unique selling point for some cameras. These cameras have a resolution of between 12 MP and 20 MP. 20 MP is the highest resolution claimed by trail camera brands. Most of the cameras available nowadays come with a video option. These cameras all support videos ranging from 3 to 300 seconds. Some of them only have video recording in black & white while others may produce coloured video with HD quality. However, you have to keep in mind that if your game takes place at night then it won’t make much of a difference which quality you are using. Some video recording features do not have audio function, so basically you end up with a muted video. When buying a camera, check for an audio feature. Flashlights on a trail camera determine the picture quality and also the detection range of the camera. These Flashlights come in LED or infrared. LEDs have a strong, white flash and therefore the picture has stark contrast and lively colours. These cameras can also capture night scenes in colour. However, the flip side is that LED can compromise your hunt by spooking animals and other hunters. For security purposes, these lights are not ideal either as they can give away the position of the camera and alert the intruder. They can also be a nuisance to your neighbour with an intense flash filtering into their house every night. Some of these cameras come with a flash-off or no-flash option. However, since these cameras are designed to use a flashlight, you may end up with blank pictures if not using it. Depending on how vast the range is, the camera can be mounted with 5–50 LED lights. On the other hand, infrared is your perfect companion in covert games. It does not spook or draw attention to itself. At most, it may have a red dot like an indicator light, which is not very noticeable. In fact, many brands have done away with this red light in some of their models making the camera completely clandestine and covert. Infrared cameras have an invisible flash, which will not blind you like the ordinary LEDs. The only flip side is that they support only black & white pictures at night. The quality of contrast may not be very impressive but they are best suited for night expeditions. Most of the cameras are compatible with 32-GB SD cards. However, some can accommodate a higher storage capacity. There are some cameras with memory as low as 8 GB; however, think before you choose; you do not want the hassle of a full camera storage halfway through the hunt. The card requirement depends on your usage. If you have a camera that takes multiple shots, i.e. one trigger results in more than one picture so that there is at least one perfect snap, then you will need a bigger data storage. This kind of camera stores all of the pictures, which can be reviewed and deleted later on. However, during the game, you will not be able to delete the unwanted snaps and they will keep occupying storage. One point to keep in mind is that a hunt goes on for a very long period. A video-enabled camera also needs a vast memory, and one with HD recording will eat up the entire storage space in no time, and the quality memory card reader. Whether you need to record video will also play a decisive factor here because pictures take up less memory than videos. A picture of high resolution needs more storage space so if your pictures are both high resolution and high definition, additional storage may come in handy. When your game goes on for some time, backup storage is a good idea. If you are using your trail camera for security purposes, good storage is also helpful. Otherwise, you will go on deleting the data every couple of days, especially if there is a lot of activity around your house, in terms of people, animals, or vehicle traffic. Another important point to keep in mind is to make sure that you use the right brand and quality of SD card. Remember not all SD cards run properly in all cameras. 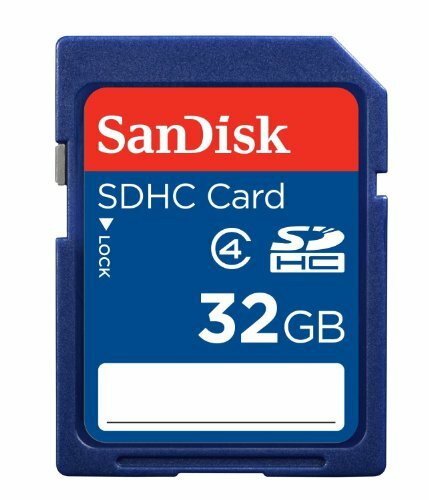 Check Memory Cards on Amazon! Trail cameras are not exactly cheap and therefore (although this one is the best trail camera for your money) can become victims of theft or get lost in the wild. Though trail cameras are sturdy considering their extensive outdoor usage, they can be damaged easily, especially in cases of vandalism and when cameras are not exactly covert. Security boxes and theft cables can rule out damage or theft to a large extent. Security boxes come in strong material like steel, which protects the camera from direct blows and scratches. Before you pick a camera that comes with a security box, check how compact it is. If space is a constraint and your priority is to have a compact camera then make sure you take a look at the security box as well. The lock mechanism of the security box needs to be foolproof but simple. You do not want to be struggling with a lock that refuses to open. Security boxes also come in various shades and colours like solid black, camouflage, etc. Therefore, a game in the wild requires a camouflaged exterior, which does not draw the attention of an animal or other hunters or intruders. Try out the security box with your camera before purchasing. A slight mismatch in size will block the flashlight or camera shutter. Security boxes also come with hooks and brackets to make them easy to install and mount. Anti-theft cables are indispensable and a must-buy along with your camera purchase. These cables will prove valuable when you have to mount your camera for a perfect shot. You can tighten or loosen the grip very easily. Since there are one-size-fits-all cables, you do not have to have multiple types. Remember a trail camera needs to be set up in various different and sometimes opposing conditions. Cameras can be mounted on a tree or placed on a rock. You won’t always be able to safely install it. Strong cables are usually made by twisting a number of thin steel cables together to make them tougher, more robust, and secure. Cables are usually covered with a vinyl coating so that they’re soft to touch and the steel does not hurt while handling. There is a locking system, which can be slid easily over the cable and fastened wherever the grip is required. This locking system should also be thoroughly checked just to ensure that it is not too complicated. Not all trail cameras come with a viewing screen, but it is an important feature. A viewing screen can play an important role in setting up the camera in the right direction and at the right height. You can also review the pictures immediately with a viewing screen. In cases where the SD card has run out of memory in the midst of your adventure, you can begin deleting the unwanted pictures by reviewing them and freeing up space on the card. This is not recommended on a tiny, regular screen. Many cameras come with HD support and an LCD viewing screen; however, it is up to you what kind of viewing screen you need. An LCD viewing screen is better but costs more than other screen types. It may also be more sensitive than the regular screen. However, a screen cover can protect it from the general wear and tear of outdoor hunts. Viewing screens are simple to use and make the camera set up very easy. The only flip side of having an external viewing screen is that it can make the camera a little bulkier, considering that it has to accommodate this additional screen on the exterior of the camera. Viewing screens come in various sizes depending on your needs. A too-small viewing screen will be useless because it will not serve the very purpose for which it was built. On the other hand, a large screen will affect the size of the camera. You won’t want to have to carry around a monstrosity during your game! If you have a habit of retrieving your pictures frequently then remember that this function drains the battery pretty quickly. It all comes down to your pocket after all! If your budget allowed, you would probably buy the best camera available. Game or trail cameras come in a wide price range from $80 to an eye-popping $10K! Therefore, the decision will largely be based on how much you’re willing to spend. This is why your priorities have to be clear before you step out to buy a trail camera. The first step is to recognize if you are a beginner or a pro. As a beginner, you have to understand that you might not be availing of all the features that a camera has to offer, so buying a fully loaded gadget might prove to be unnecessarily expensive and foolish. However, if you have every intention of continuing and pursuing this sport and learning it rather quickly, then you should think about a higher-end version. Basically, “better to have it and not use then not have it and need it”. Your usage also needs to be kept it in mind. If you need this camera for security purposes, then considering the area to be covered will help you save on detection range. A camera with a 100-foot detection range is much costlier than a 50-foot one. If you want the camera to be installed in a 40-foot lobby then why buy a camera with a longer detection range? Similarly, you must consider the kind of flash you need. If the camera doesn’t need to be covert, e.g. in an office space, then buying an infrared invisible camera is not required. Remember, great picture resolution comes with a hefty price tag. If you need it strictly for hunting at night then do not go for a high-resolution camera. Night scenes in high-resolution trail cameras usually come in black & white shades only. One more important tip is to go for a reputable manufacturer and brand. An unknown and not-so-popular brand may provide you with all these features at lesser price, but remember it will not be the same quality as an established brand. You do not want to face small, nagging obstacles during your game. The established brands have learned from mistakes and lot of research. They have had years to improvise their products so the chances of getting sub-standard quality are next to none. Your choice of resolution, flash, HD video capability, and external viewing screen all have bearing on the camera’s battery life and storage. A camera with high-end features may require a data storage card with an extended memory. Good quality data cards are not cheap. Apart from storage, these features will drain your batteries a lot. Over the years, you will end up spending a significant sum on batteries alone. You can spend as much as you want when it comes to a trail camera. The features are appealing and accessories limitless. However, do not get overwhelmed or lose the run of yourself. Prepare a budget and stick to it. A few dollars here and there is all right, but if you are deviating by hundreds then just stop and think if this is really what you need. When it comes to scouting and hunting animals your Bushnell trail camera is as reliable as it gets. Bushnell’s Trophy camera line is excellent but you are also offered a wide range of features and different types to choose from depending on what you are looking for. Moultrie is a leading brand when it comes to to the game; scouting animals has never been so easy. It is an old brand that you can rely on with a vast range of different types to choose from. This brand is known for making great scopes and now Tasco has produced a trail camera that has been very popular among hunters and works great when it comes to spying on your game. Spypoint’s mind-blowing collection of 27 cameras is the best lineup around with awesome variety and features. The Reconyx name is synonymous with quality and performance. This is the brand that wildlife biologists have grown to trust after decades of field experience. 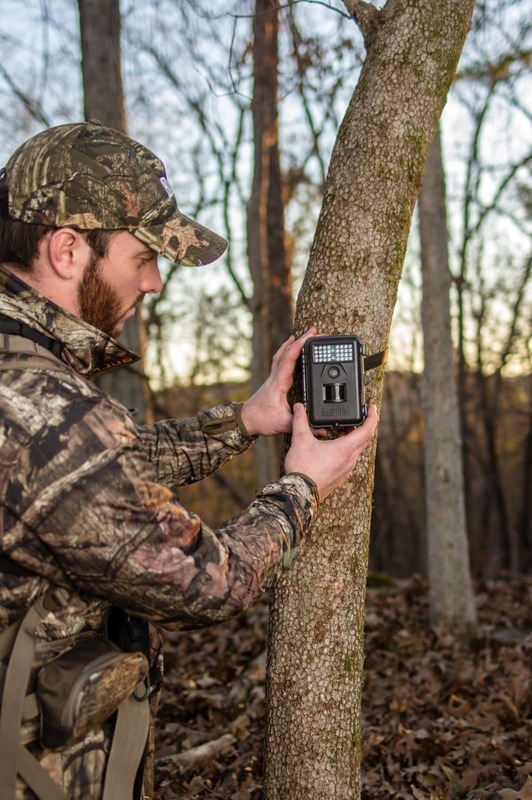 Impervious to weather, Reconyx trail cameras are perfect for hunting, security and any other purpose where positive identification is paramount. Superior photography is a hallmark of the Reconyx brand. These trail cams produce unbeatable nighttime photos, yet still operate in daytime mode long after most other cameras shifted to infrared. The color photos these cameras produce are exquisite, but the true measure of their quality is their detection circuitry. Blazing-fast trigger and refresh speeds are complimented by state-of-the-art motion sensors, eliminating the ghostly images that plague lesser cameras. Reconyx cameras also outlast most of their competition in terms of battery life, with 18-plus months of use possible on a set of batteries. While their battery life is measured in terms of years, the lifespan of a Reconyx trail camera may be measured in decades. Made in the U.S.A. – to the exacting tolerances that entails – Reconyx backs their construction with industry-leading warranties. Though their cost reflects their quality, users rarely regret the purchase. Reconyx cameras are an investment in the future, as they continue to function brilliantly long after most other trail cameras have found their way to the trash heap. 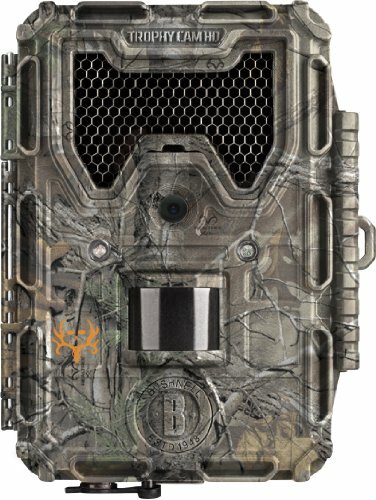 Browning, Primos Truth, Plot Watcher, Micro Crush, and Razor are also a few top brands offering a massive range of trail cameras with a plethora of features ranging from image quality to detection circuit and additional features like multi-shot mode, time-lapse mode, and audio recording. Generally, trail cameras cost somewhere between $50 and $800. Nevertheless, cheap cameras have fewer options for file size, memory size, and shot options and they often don’t have a video option. They also have slower trigger speeds, which may deprive you of capturing the real action in time. Determining how many trail cameras you should get requires assessing your own personal needs. Each piece of property is unique. If you are only interested in covering a food plot or a salt lick, then you obviously only need one camera. Sometimes, though, extra trail cameras can cover more ground. Let’s look at what factors determine how many trail cameras are sufficient for each person’s needs. Trail cameras have limited fields of view, and they vary from camera to camera. The field of view is a V-shaped area leading from the lens outward, and it determines how much coverage you can expect from your trail cam. This measurement can be as low as 35 degrees or as much as 70 degrees. If the trail camera you select does not cover the entirety of your desired area, you may need a second one to avoid missing game movement. Some trail cameras simply have shallower fields of view than others, sometimes necessitating a second camera for full coverage. The depth of view is the distance from the camera that is in focus. A large piece of open property will require a deeper field of view than an enclosed yard or heavily wooded terrain. Hunters should assess their property carefully to determine their needs for trail camera coverage. Property that has a watering hole and a feed plot at different locations might require a camera at each spot. Are there trails that deer use to move from bedding to feeding locals? If so, trail cameras placed in these locations should have fast trigger speeds to nab quick-moving deer. On the other hand, trail cameras covering food plots can have slower trigger speeds, as deer tend to linger and loiter around feeders. Trail cameras make excellent surveillance tools, but they are only as good as the coverage they provide. Home owners should consider their field and depth of view carefully. Overlapping fields eliminate blind spots that could be utilized by crafty trespassers. A trail camera mounted high on a building can provide a wider field of view, but depth of view becomes critical for identification purposes. Expect to purchase at least one camera for each entrance, as well as one or two more to cover the entirety of your yard. Finding out what is the best trail camera for the money requires some self-reflection. You have to know both your own requirements and your budget. Your requirements are your own, so it isn’t always wise to trust random opinions. Someone who is used to using cheap deer cameras for hunting might not be the best source for the best budget surveillance cameras, for example. Everyone’s needs are unique. There are plenty of cheap trail cameras on the market today. Some make great security cameras, but may not be so useful for hunting. Others might provide you with panoramic vistas of an open field, but may not work so great at night. Let’s run down a list of which features are most important, then we’ll discuss price points and what you can reasonably expect to get for your hard-earned cash. This feature trips up buyers of cheap trail cams more than any other. Megapixel (MP) count is simply the number of pixels on the digital sensor in the camera. Companies trick consumers into believing their trail cams have higher pixel counts than they really do, so going off of an advertised pixel count is never a good idea. The actual – or native – pixel counts of trail cameras rarely exceeds 5 MP. Higher counts often result from software that adds megapixels to a lower-resolution image, unnecessarily increasing file sizes and decreasing storage capacity in the process. It isn’t false advertising, but rather a crafty sales gimmick that many trail camera makers employ. If your camera will be taking night photos, its infrared (IR) flash should be your chief concern. The IR flash is a bank of LED lights that emit light in the infrared band of the spectrum. Humans and most animals can’t see the light, but the camera sees it. Software translates the image into the part of the spectrum we can see. The resulting images are in black and white. There are two types of infrared flashes on the market. Low-glow flashes are the older type, and will likely be found on even the best budget trail camera. The LEDs in these cameras glow red after they flash. No-glow LEDs, also known as black or blackout LEDs, are IR flashes that produce no visible light that could alert deer or trespassers to their presence. When the motion detector on a trail camera senses movement, there will always be a delay before the camera takes a picture. This is the camera’s trigger speed. Then the camera will always require some time before it can shoot another photo – the recovery speed. This is true for both the most expensive camera and the best cheap trail camera available. Of course, one should expect an expensive trail camera to accel in speed of trigger and recovery, and this is largely true. But detection circuit technology is getting cheaper and improving all the time. Nowadays, buyers might reasonably expect a cheap trail camera to have trigger and recovery speeds approaching those of the priciest trail cams from just a few years ago. Even though it has been around for a while, wireless technology is still in its infancy in the trail camera market. Like all new tech, cellular and wi-fi trail cameras exist at the higher price points. The cost of the cameras themselves will likely fall in coming years, but the recurring cost of transmitting data over cellular networks likely won’t get much cheaper any time soon. None of the best trail cameras under 150 bucks is able to do wireless image transfer. The last piece of the puzzle, and one that many new trail camera users frequently overlook, is the location of the camera. If you are using the trail camera for surveillance on your home or business, a short battery life might not be problematic. In the wilderness, accessibility becomes more of a factor. Consider the battery and image-storage capabilities of your camera when accessing it is an issue. The farther and more difficult the trek to get to your trail cam, the more important battery life and image storage become. Look, everyone is impressed by the various features available on some modern trail cameras. Image bursts and variable video lengths are nice options, but most hunters never use these features. For the average hunter, the best trail camera for the money is the one that takes adequate pictures of game so that the subjects can be easily identified and tracked. Beautiful images are nice and all, but good enough is good enough for most of us. Hunters and home owners on a budget will have the easiest time meeting their needs in this category than in the others. For this price range, users should expect truly invisible IR flashes and fast trigger speeds, typically much faster than even the best game camera under 100 dollars. Browning’s Dark Ops 940 Extreme sneaks under the price wire, offering .4-second trigger speeds and invisible IR flash with an 80-foot range. Moultrie’s M-50i is another fine choice, with even faster .3-second trigger time and an equally impressive flash. In this price range, users should expect to make a few compromises. Stealth Cam’s QS12 takes great daytime photos, but its 5-second-plus recovery time can’t compete with pricier cameras. Moultrie’s A-25 is an excellent option for both hunters and homeowners, and its .9-second trigger speed is plenty for all but the fastest moving targets. Obviously, this segment of the market will require the most consolations on the part of the user, but getting a trail camera under $50 is not the exercise in frustration that it was just a few years ago. Something like the Victure Trail Camera or the VenLife Trail Camera will take useable daytime photos and serviceable night photos, though no one should expect silent or invisible camera operation at this price point. Users who demand spook-proof operation should really move up to the next tier of game cameras. High-priced and worth every penny, this particular model is an ultimate powered 12-MP high-definition camera capable of capturing 1920 x 1080p video. It looks incredible on big screens, even above 50 inches. It has automatic motion sensing up to 65 feet with multiple levels that you can adjust for better performance. So taking pictures or videos at night won’t give you that typical grainy look, rather a strong, clear view. The trigger speed is blazing fast at 0.7 seconds, and if you pair it with a 32-GB card you’ll be golden for a long time, even if you’re a heavy user. Having that much capacity is a great way to test out the burst mode, which takes multiple pictures within a few seconds so you will always get the best of any moment. The PIR field of view is wide angled at 100 degrees, so the camera will not miss anything important and isn’t limited to narrow landscape views. The 3 months of battery standby and 1-year warranty are more than enough for most people. It is tripod compatible so you can really lean on its advanced features. Low maintenance and with a lot of power, this is a great buy for several uses. Read the full Game Hunt V300 Review here. 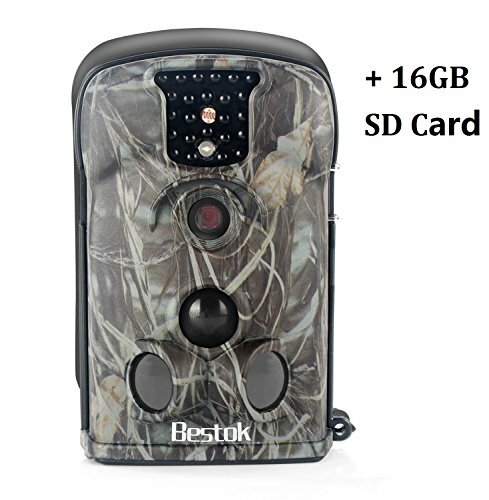 The Bestok 12MP Digital Infrared Night Vision Outdoor Waterproof Wildlife Cam is low-priced and comes in several colors for those who like to accessorize. They all come with a 4-GB SD card for extra storage, which is a great little bonus that saves you money upfront. Available colors and styles are 5210A, 8210A 4GB Black, 8210A 4GB Camo, 8210A 4GB Dark Green, and 8210A 4GB Gray. There’s a nice mix that adds some variety to the sometimes restricted choices with other cameras. Behind the stylings is a powerful 12-MP CMOS sensor that promises brilliant photos and videos during the day and night. Time, moon, and temperature stamps offer an easy way to identify pictures if there are many. Users have a choice of determining how much standby power they need with a minimum of 4 AA batteries giving 3 months of standby while while doubling the number of batteries also doubles the standby time. It is an intuitive system that’s easy enough for even new customers to get attached to. All styles are built to function in multiple environments, and the Prep Sensor design pairs well with the response speed trigger. Unique to this model is the ability to code locations in photos using the serial number feature. Everything that you could want and more in a camera, this is a solid buy. 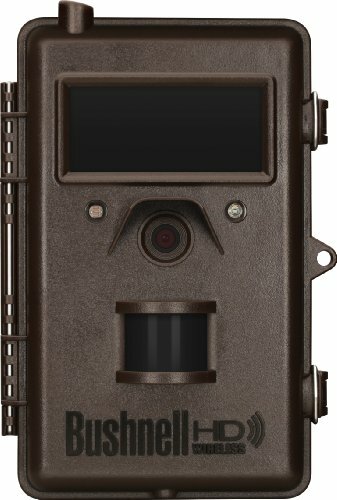 Here is the Bestok 12MP Game camera article in full detail. For a really good deal on security or game hunting, then this (4) Moultrie MLB-800i high-priced package from Moultrie is just about everything you’ll need right out of the box. Four identical cameras are included in the package, and they are all 8MP and low-glow infrared models. These are in no way throwaway cameras; they have a less than 1-second trigger time to capture images or video. This is especially useful if you place them close by each other. Customers will be able to get real time 360-degree updates about what is going on, and all in picture or video form. 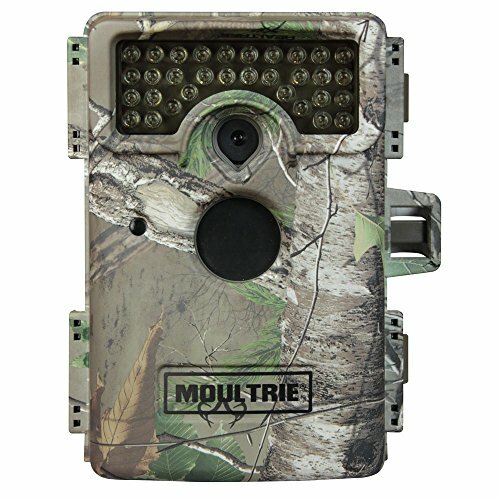 Moultrie also did a great job of using the RealTree Xtra camaflouge design as a way to hide the cameras for game hunting. During the day or night, they blend in well with the scenery so the buyer doesn’t have to change their position on a daily basis. The nighttime range is 70 feet, which is more than enough to capture the stuff you really want, even if the object moves quickly. To fully utilize the cameras’ capabilities, Moultrie included free, downloadable time-lapse software. It works great for beginners and has a lot of advanced features to play around with. For a full setup that gets you the most for your money, this is a nice bundle to purchase. You can find the detailed review on Moultrie MLB-800i in this article. Low-priced but high-powered, Bestguarder pulled out all the stops with the HD Waterproof IP66. Available in two versions, the camera offers a high-powered performance boost for anyone looking to upgrade their backyard or game hunting unit. The two available versions are DTC-880V and SG009, but the differences go a little bit further than shape. To get a better grasp of how powerful these little cameras are, the 12MP can be reduced to 8, 5, or 2MP to preserve the life of the camera if the batteries are running low. The highest resolution of 12MP really amplifies the quality of the camera and is a good indication of what you get for your money. The minimum trigger speed is 0.6 seconds, and if you are shooting video then look forward to 1920 x 1080p FHD video and crisp and clear audio. Nighttime viewing is enhanced with a 36-piece Black IR LED that functions up to 75 feet, even in adverse conditions. Other great features include time lapse for both modes, motion detection, password protection, picture delay up to 1 hour, and the ability to take 4000 images on a single charge. It is about as full-featured a camera as you’re going to get for the price, and is well worth a look. For more information: Bestguarder HD Waterproof IP66 Infrared Night Vision Game! High-priced and ready to go out of the box, the Reconyx HyperFire HC500 Semi – Covert IR Game Camera has a lot of features comparable to cameras twice the price. The low-glow semi-covert infrared night vision works up to 50 feet, perfect for getting you the best pictures without using up a lot of battery life. This is an all-weather model that can withstand extreme temperatures of -20 up to 120 Fahrenheit. It’s all made possible by the camo-infused weather-proof enclosure that protects the expensive interior of the camera. A decent 1-year warranty is included in case things go south, but chances are this enclosure will be all the protection you need for a very long time. Unique to this camera is the Buckview advanced software, a windows program that makes managing your photos and videos a lot easier. The branded software is underappreciated in the market, and does a wonderful job where other brand’s fall behind. The camera can use either 6 or 12 AA batteries depending on your usage, but it is best just to load it up since it has good power-saving capabilities. Buyers that have tried bigger brands and want something even more will definitely be satisfied with this model. Here is the Reconyx HyperFire Review. Sometimes it is the little extras that count, which is the case with the ultra-low priced Stealth Cam P18 7 Megapixel Compact Scouting Camera that comes ready to shoot. It provides just enough pop with 7MP and a 60-foot flash range, but the real deal here is that both batteries and a 4-GB SD card are included with the purchase. Stealth didn’t scrimp on the tech here; it made the camera feature rich with a Burst Rapid Fire mode, EZ dial programming, video recording up to 15 seconds, and Burst mode that can snap 1–6 images at your preferred interval. It’s a nice starter game camera or security camera for those that don’t want to break the bank for a decent camera. Although it is marketed as a compact camera it is actually the same size as most other cameras on the market. The dimensions are 2.2 x 4.8 x 6 inches and it weighs 1 pound. The tree bark camo is realistic enough so that game won’t suspect it. If you need to grab pictures from the camera and don’t want to move it, then use the convenient USB output to transfer them. There aren’t many budget models worth your money, but this model proves that there is still hope for cameras under a certain price point. Here is the full guide to the best Stealth trail cameras. 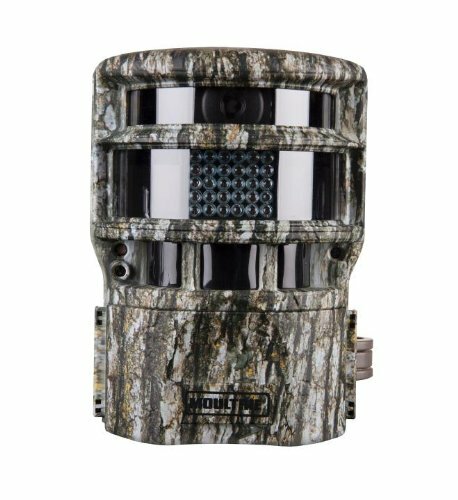 High-priced and aesthetically striking, the mid-priced Moultrie P-150i Game Camera is made for those that want ultimate protection for their camera when using it out in the forest. It is an 8-MP camera with a less than 1-second trigger speed to catch the most defining moments. The detection range is decent at 45 feet, but the big seller is the 150-degree field of view which gives customers a much wider viewing area than a normal camera. This would be perfect for use in a field or other wide open area to fully take advantage of this feature. At night, performance is pretty good, and uses no-glow infrared to capture its subject without using a visible flash. Because of how heavy duty this camera is it does have a little bit of weight to it — double that of a normal game camera at a hefty 2 pounds. Dimension-wise it’s pretty big too at 7.5 x 9.5 x 5 inches, so plan accordingly when hanging or hiding this big item. The battery life stays strong for up to 9,000 images and it takes HD video at 720p. It’s everything you need in a camera with a bit of extra protection and better view, so it is a nice alternative to the other cameras that are flooding the market. Read our full Moultrie P-150i Game Camera Review here. The popular Bushnell brand offers this medium-priced Bushnell 6MP Trophy Cam Essential Trail Camera, a 6MP product that has a decent number of features and a killer design. The 6MP is stronger than you may think, and the day and night auto sensor adjusts itself to take full advantage of the hardware. With a motion activated PIR sensor that can activate from 45 feet away, users will have considerable control over multiple situations. This works best in conjunction with the field-scan time-lapse mode since the trigger speed is lightning fast at 0.8 seconds. Expect to get a near-perfect capture on each and every snap, no matter what time of day it is. No other camera is as power efficient as this, with one set of batteries lasting up to a year due to its supreme power-saving settings. And even if the weather changes for the worst, it can take temperatures from -5 to 140 F, making it as heavy-duty as it is functional. Videos are shot at 720 x 480p and last up to 60 seconds with audio, so although not high-definition it is very much a capable piece of equipment. Customers who want a camera that is easy on batteries will fall in love with this version and its power-saving features. Here is our take on the Bushnell 6Mp Trophy Cam if you are interested to learn more about it. Another low-priced camera in Moultrie’s lineup is the M-550, a generation 2 that improves on its predecessor by a lot. The 7MP is sharp and makes up for the average trigger speed of 1.5 seconds. Moultrie still did great with a detection range of 50 feet and a flash range of 70 feet. The night time infrared is very well done on this camera and does its best to fully utilize the 7MP camera. The new design includes an updated LED array pattern, and has a better case overall for those that use it in really bad weather. The company is also marketing a reworked quick-start menu, which gives users direct access to the most important features of the camera without having to search around for them. It does work remarkably well in that regard, and is probably the best software update provided by the company. This is considered to be Moultrie’s entry-level series, hence the price. But that doesn’t change how strong the camera really is, with the ability to take photos as high as 3048 x 2286p, perfect for showing on big-screen television sets. The video is capped at 640 x 480p, so users who value HD video should keep that in mind. One of the better entry-level cameras on the market, users shouldn’t shy away from this. Read the full details on the Moultrie M550 Gen2 right here. Little known but still powerful, the Wild Game Innovations Blade 5X Hunting Trail Camera promises great power and all for a low price. It comes full force with a trigger speed that is less than 1 second, and still manages to deliver supreme photo and HD 720p video thanks to its 5MP camera. The body is water resistant and weather durable, so the conditions will not hinder the effectiveness of the camera. Buyers should expect this to last for years because of the quality build, which is a big plus when you factor in the price. It supports 32-GB cards and requires 8 AA batteries. The video is capped at 30 seconds, which should be more than enough to get important shots out of the way. The camera itself is a tiny bit heavier than other cameras with the same specifications, with a total weight of 15 ounces and dimensions of 10.8 x 7.5 x 2.2 inches. Creative users can use the included bungee cord to place the camera wherever they please. This includes hanging it from a high location for a one-of-a-kind aerial shot in both day and night conditions. Wild Game Innovations did a great job with this product, and it’s sure to turn heads in the mainstream market. Here is the full Wild Game Innovation Trail Camera Guide if you want to learn more about the brand. 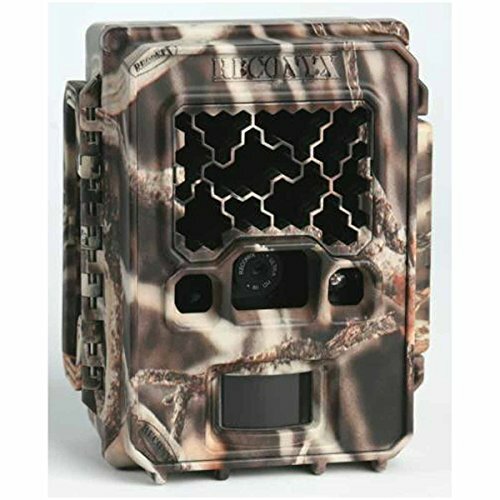 High-priced but worth the money, the Simmons Whitetail Trail Camera combines a lot of premium features in one package. The materials are battle-tested and work great in both indoor and outdoor conditions, regardless of use. Customers have the option of either using the full 6MP or downgrading the power to 5MP so that they can squeeze in more content on the card of their choosing. While date and time stamps are sometimes hard to see on the LCD screens of some of these devices, the Simmons Whitetail Trail Camera has a very crisp LCD so you won’t need to strain to see the details in your pictures. And with the setup screen available on the same LCD, most buyers will be up and running in minutes without needing to refer to the manual. The night vision is incredibly effective, most likely due to the 18 low-glow LEDs that can function within a 40-foot range. And with the PIR sensor having a range of up to 30 feet, the motion activated function kicks in when it is supposed to rather than being triggered by a non-event. Four AA batteries will last this incredible unit up to 6 months, which is the best you can expect from a premium camera with all of these features. This is a highly recommended camera that really puts a good price on premium. The high-priced and criminally underrated Spypoint 6MP Invisible Infrared Camera is a good example of a camera that’s flown under the radar since it launched. The 6-MP camera takes day and night videos in supreme quality, with video modes that are available in intervals of 10, 30, 60, or 90 seconds. Buyers can count on good detail with the black LEDs doing a lot of the heavy lifting. The trigger speed is optimal but also gets a boost from the intelligent 5-zone sensor that knows when and where to snap the photos. This way customers will get better positioned images, mostly centered and not at weird angles. What separates this from the rest of the market is that the camera is removable from its protective case and can be used as a regular everyday camera. Options are abundant, as it is compatible with rechargeable battery packs, solar panel upgrades, and it comes with a horde of accessories. This includes a USB cable, mounting strap, and video cables for TV output, something that a lot of the premium cameras on the market lack. If you want to keep things simple, then simply pop in 6 AA batteries and enjoy the great power-saving features. This is a great camera that has to be used to truly be appreciated. If you are interested to learn more about the SpyPint Game Camera Brand click here. Medium-priced and with one of the best night vision options built in, the Simmons 6 MP ProHunter No Glow LED Trail Camera is made for all types of users. The 6-MP camera can also be used in 4 and 2MP modes to save battery and storage space. All images are easy to categorize since they have date, moon, and time stamps. Thousands of images can be sorted accordingly with the press of a button. The range of the motion activated sensor is 45 feet while 32 no-glow black LEDs keep game and humans unaware of its presence, whether snapping pictures or taking video. The video is capped at 640 x 480p and, unlike the HD photos, is standard definition, but it does record audio. The time-lapse mode is highly configurable, and the user can take full advantage of an optional 32-GB card if they have 8 AA batteries, which can last an incredible 9 months. An almost 365-day performance on one set of batteries is sure to draw attention from those that are tired of swapping out batteries, and is one of the better power-saving options in any camera. Powerful but small, this is a trail camera that should be in everyone’s top 10 list. Packing a full 12MP in this camera was no easy task, but the Moultrie M-1100i Game Camera is a powerhouse from top to bottom. The trigger speed is only a half second while the detection range is 50 feet, giving you ample room for placement. If you’re worried about prey detecting the camera while it’s in operation, rest assured the no-glow flash range is 80 feet. That’s more than enough to get a good picture without making it too obvious, and if video is your thing then this camera takes glorious 1080p video that shows like a champ on 4K televisions. This is without a doubt one of Moultrie’s most advanced hunting cameras, which is why it’s priced in the medium range unlike its other low-priced products. It packs some heft at a full 1 pound, but nothing too expansive; the dimensions come in at 7.5 x 9.5 x 5 inches, so you can virtually hide it anywhere in the forest or within your home. The company included a 1.4-inch olive drab mounting strap and a Moultrie brand window decal. From the moment you purchase the product the 1-year warranty takes effect, but with the durability of the product you may never need to use it. One of their best and certainly one of the most powerful, Moultrie did a great job with this model. Wildgame Innovations has some creative cameras in its arsenal, and the low-priced Micro crush X10 is a good example. 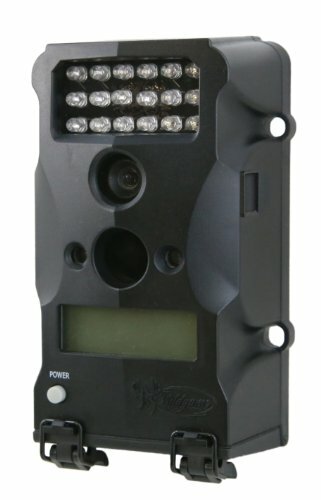 Wildgame Innovations Micro Crush X10 Hunting Trail Camera has a 10-MP lens with 27 invisible LEDs that champion its nighttime use. Important shots will come out as smooth in the night as they do in the day. If panoramic cameras aren’t your thing, then buyers can settle for the wide-angle lens on this camera. You’ll get a wide field of view without compromising quality, all while keeping the full features of the camera intact. Other notable features are the flextime plus technology, time-lapse technology, and a fast 1-second trigger speed to capture shots. Video is recorded at high definition 720p and can last up to 30 seconds. Everything is protected by a very strong case that is both weather and water resistant, so with the included bungee cord buyers you can put it wherever you want without worry of it getting damaged. This is on the lighter side but in no way flimsy, with a weight of only 9.6 ounces; that means the placement possibilities are endless. Using 8 AA batteries, the camera can run for months without detection, with pretty decent power-saving features. For a low-priced camera that doesn’t need a lot of upkeep, customers will most likely flock to this little device. 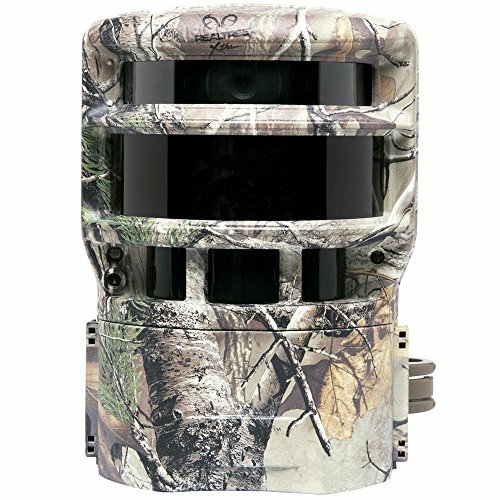 The low price of the Primos Truth Cam Ultra Supercharged HD Blackout Trail Camera will attract a lot of users new to cameras for game hunting and home security. It is a fairly powerful camera at 7MP with 1280 x 720p HD video capabilities. That’s pretty impressive since it also includes sound, but that is not the only impressive thing about this camera. Sometimes changing out batteries can be a hassle if you don’t visit your spot often, and it becomes a problem if you put the camera in a completely out-of-the-way place. The camera itself takes 8 AA batteries, but the case also holds 16 AA batteries. The run time with this setup can be as long as a year, and is preferred for those who find the perfect spot and don’t want to disturb the setup during the season. A 1-year warranty is also included with this great product, although it is doubtful you will need it. Most PIR motion sensors are half a second late, but the built-in PIR sensor on this camera catches action early and often, and up to 55 feet at night. For a nice low-cost camera from a different brand, customers would do well to look this model up. At the low to mid-price range, Browning Trail Camera’s Recon Force XR has a 0.67-second trigger time and records HD videos with sound and incredible clarity. Eight AA batteries give the unit a long lifespan on a single set, and even when taking both HD video and photos, it still holds up for long periods of time. The 100-foot flash range ensures that all photos meet the clarity and specifications that you could want, and as a set this includes the Browning Buck watch time-lapse viewer software for further media intake. The package is geared towards intermediate to expert users, and has other configurable features to match those users’ skill sets. The 100+-foot flash range takes advantage of IR illumination at night, with zero blur technology aiding in all instances to make sure photos are clean, crisp, and easy to manage. This is a small, lightweight camera that weighs in at only 5.3 ounces, and can easily be hidden for outdoor game and hunting use, or home use for security. Although not listed as weatherproof, the unit can withstand heavy rainfall as well as adverse conditions. The digital screen on the camera itself is of high quality, and good enough to make out most photos. Read the full Browning Recon Force Review Here. Voted as the 2012 Best Buy from Inside Archery and still going strong is the Covert Scouting Cameras MP-E5 Infrared Trail Camera with 28 glow LEDs and a trigger speed of 1.2 seconds. Because of the preset feature, this camera is designed for all users from beginners to experts, and allows the user to change how the camera behaves based on a set of 4 programmable options. The 4 presets are: 2 shots at an interval of 30 seconds, 2 shots at an interval of 1 minute, 3 shots at an interval of 5 minutes, and 10-second videos at an interval of 1 minute. The unit accepts SD cards up to 16 GB, enough to hold a good amount of photos and videos. Eight AA batteries provide an average of about 3,000 pictures, with time, date, temperature, and moon phase stamps included. The camera is compact and weights just under 12 ounces, and is small enough to use around the home and also recommended for outdoor sporting and game use. The camera is motion-activated and has a decent trigger time when compared to other models. Is also made to last in adverse weather conditions, without affecting the capability of the unit. 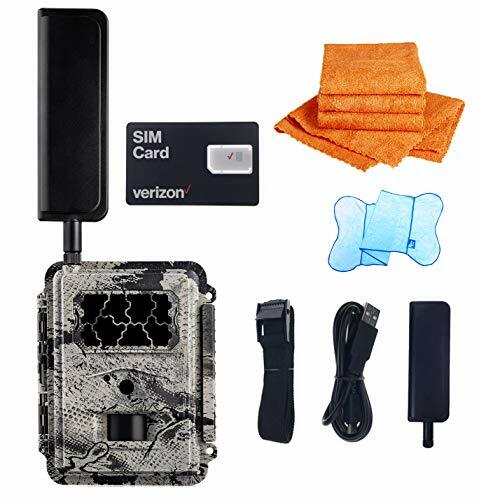 The Covert Special Ops Code Black 3G 60-LED Wireless Game Camera is the only camera on the list with 3G functionality, and through the use of a SIM card provided from AT&T, it uses MMS functionality to automatically deliver the media from the camera to your cell phone or email. Inside Archery voted this the 2012 Best Buy, and this particular model is well received across multiple outlets. It includes 60 invisible-flash LEDs with trigger speeds of 1.2 seconds with a range of up to 60 feet. Setup and use is mostly for intermediate to expert users, and it’s equally great for both outdoor use for game and hunting and home security purposes. This is the highest priced camera on the list, and includes a recurring fee from AT&T for sim card functionality that ranges from $10 for limited messaging to $20 for unlimited, and will vary from state to state. Other sim-card capable operators like T-Mobile or H20 wireless that use AT&T towers are compatible, but the support for these operators is either limited or non-existent. SD cards of up to 32 GB are supported, and with user-switchable 3, 5, and 8-MP modes, the actual space can be doubled. The 2-inch color viewer allows adjustments to time lapse modes, the 2-phase timer switch, and 3 adjustable sensitivity levels. Twelve AA batteries are required, and at full functionality the camera can easily last up to a year without replacing batteries. 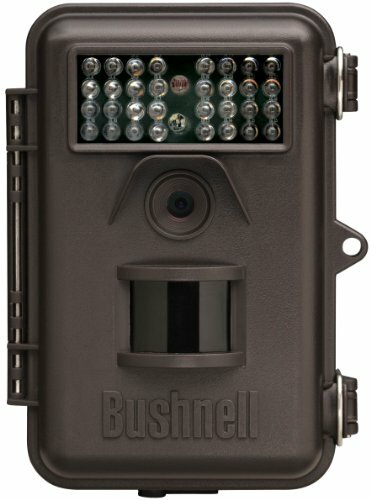 This Bushnell with night vision is a higher-end and high-priced camera that features 1280 x 720-HD video as well as comparable HD photos. The motion activated PIR sensor works from 60 feet away while in-field scan time-lapse mode images are taken at the user’s chosen intervals. Other programmable options include the 0.2-second trigger speed, which the user can set for the trigger to be most effective. Besides being weather proof, the unit can last up to a full year on one set of 8 AA batteries. SD cards are supported up to 32 GB, but class 10 SD is recommended for full HD capture. The camera has a multitude of programmable options that make it more suited for intermediate to expert users. HD video lasts up to 60 seconds with sound, and can be viewed on the black and white LCD display. Unique to this camera are the included adjustable web belt and ¼-20 socket, making it ideal for outdoor use for sporting and game. The Bushnell Trophy is also solar compatible and includes GPS geotagging to aid the data stamp information when organizing media. With the exclusive hybrid capture mode, this trail camera allows both video and still pictures to be captured simultaneously, allowing for even greater information intake when viewing media. Just over halfway through the list is this high-priced offering from Bushnell, another HD wireless camera with a multitude of features. Enjoy breathtaking optics with clear HD clarity whether taking pictures at daytime or nighttime. Because of the brand, expect top-notch that are built to last, all without compromising the design. For the first 30 days, buyers will get unlimited thumbnails with wireless connectivity working right out of the box, all through the use of a sim card and complimentary data plan. With this same wireless connectivity, buyers can remotely change the camera settings from a laptop, desktop, or smartphone. It’s one of the most effective all-in-one solutions for those that want to take advantage of a quality wireless connection and not be tied down to a certain range. Once the 30-day trial period is up, buyers have access to pre-paid data plans from Bushnell that are very competitively priced — pretty affordable overall. They’re comparable to many of the data plans offered by big names like Verizon and Sprint. The battery life is awesome thanks to the units built-in power saving features, allowing it to run up to 3 months on one set of batteries. And based on the programmable trigger interval, that can even be extended for more frugal users. The max resolution is a nice color 8 MP HD with the option for HD video included. Bushnell really hit it out of the park wit this model, and it’s not a bad choice for eighth on the list. And we haven’t even mentioned the 32 infrared no-glow LEDs and night vision capabilities. This camera also takes one of the longest video lengths at an impressive 60 seconds. Worth the money and more, don’t miss out on the best wireless trail camera from Bushnell. So there you have it; a complete guide to the best trail camera reviews and how to pick the best one for your purpose. If you are looking for different types of trail cameras there are options to buy small trail cameras, solar trail cameras, or even choose the best video camera for hunting in this article. If you are looking for a thermal camera we even have the best thermal camera for hunting article right here. Maintenance is vital with these gadgets, especially when they are kept outdoors. To get the most out of your camera, charge its batteries regularly and use only branded batteries and chargers. If you intend to store your camera for a long time, take out the batteries before you store it. Clean lenses with both glass and plastic compatible cleaner. Before you place your camera in the woods for longer periods, make sure that you check all seals and gaskets for wear or tear. These simple steps will help ensure that your gadget functions is flawlessly for a long time.